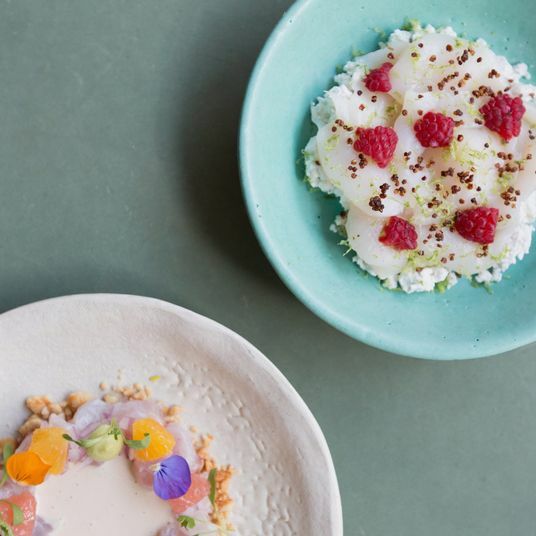 I first saw it on the breakfast menu at Joseph Leonard in Manhattan’s West Village. Soldiers and eggs, which, on paper, is a fancy way of ordering two soft-boiled eggs with toast. And though I’m usually wary of dishes that sound like something I could make at home, I left breakfast that morning feeling satisfied. The expert preparation certainly helped; the eggs were served with still-oozing yolks, which complemented the fatty sticks of brioche I slathered with butter. 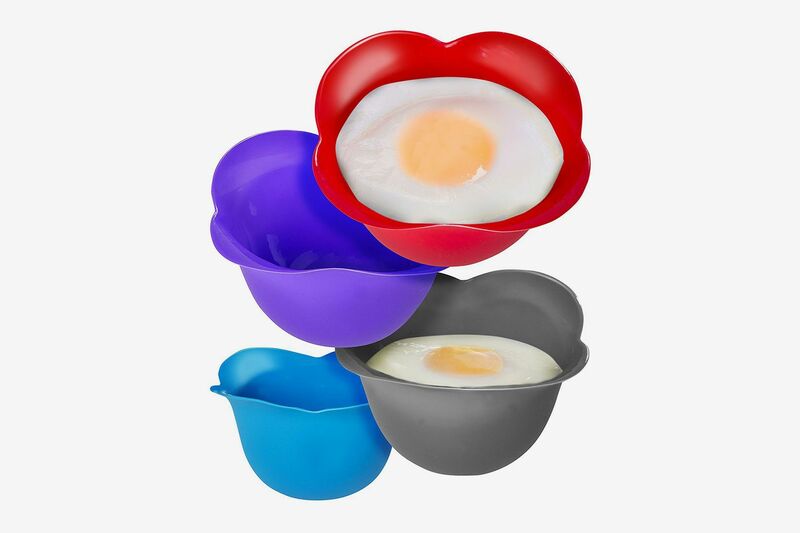 Since then, I’ve been keeping an eye out for soft-boiled eggs on restaurant breakfast menus, always in hopes of getting that eggcup, and it’s been showing up more often than you might expect. I found it on the menu at Sant Ambroeus in Soho. 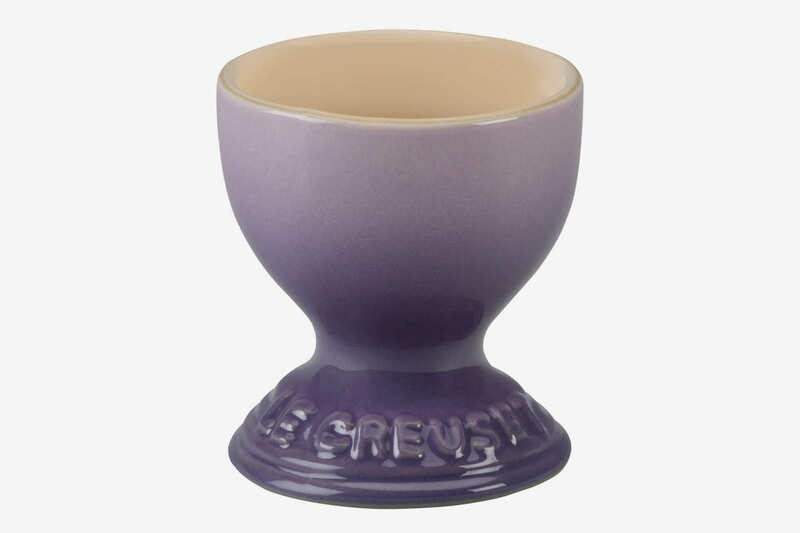 A single egg, uncracked, in a white eggcup, this time served alongside a ramekin that contained a sliver of Parmesan cheese. 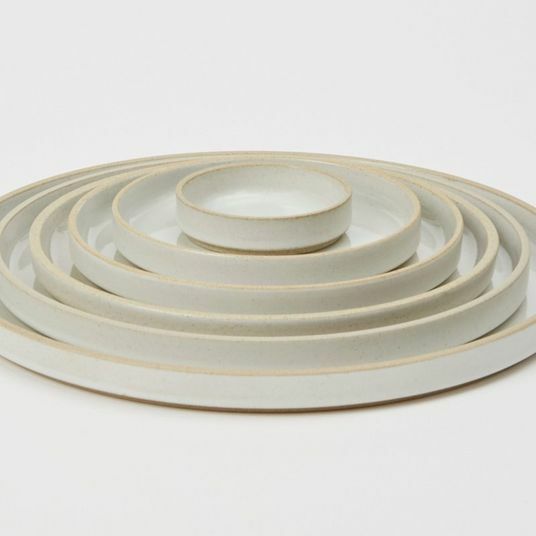 Between the two porcelain dishes was sandwiched a single slice of sunflower toast. Simple? Absolutely. 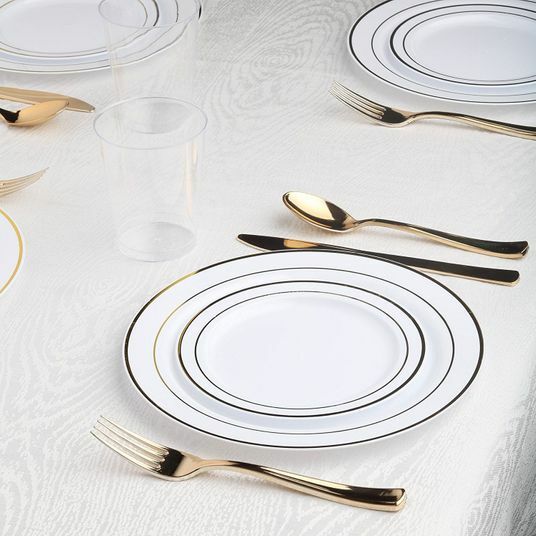 But that white egg balanced on matching ceramic made the whole thing feel fancy, even though it was, quite literally, just an egg and a slice of toast. 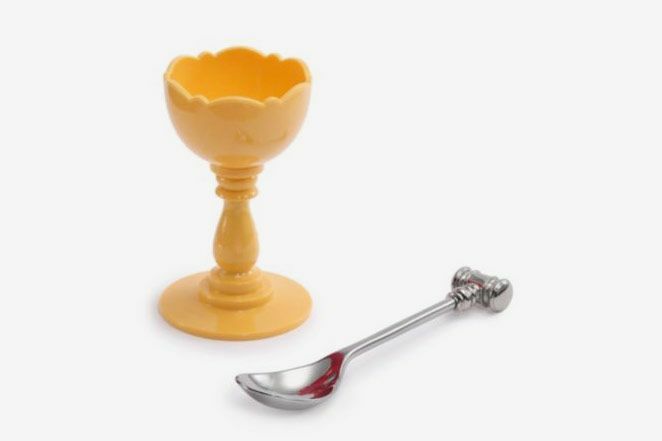 My eggcup sightings haven’t been limited to restaurants, though. 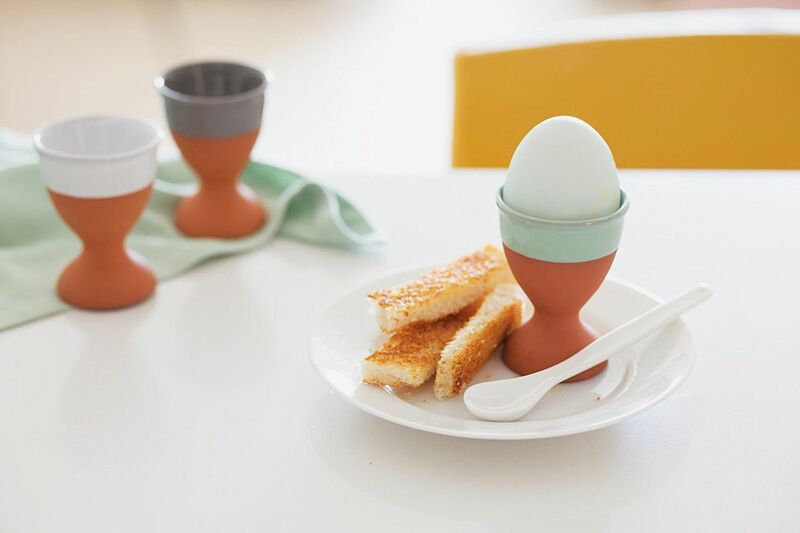 Eggcups are having a moment on film. 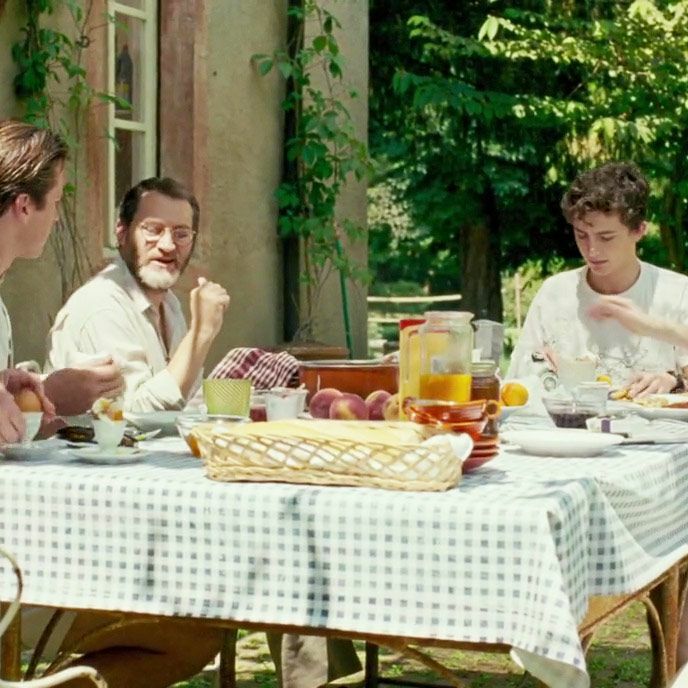 Take the porcelain ones that make a cameo in Call Me by Your Name; a sweet, brief moment where Elio expertly eats a soft-boiled egg from one, while Oliver, Armie Hammer’s character, must ask for help to crack his egg open. 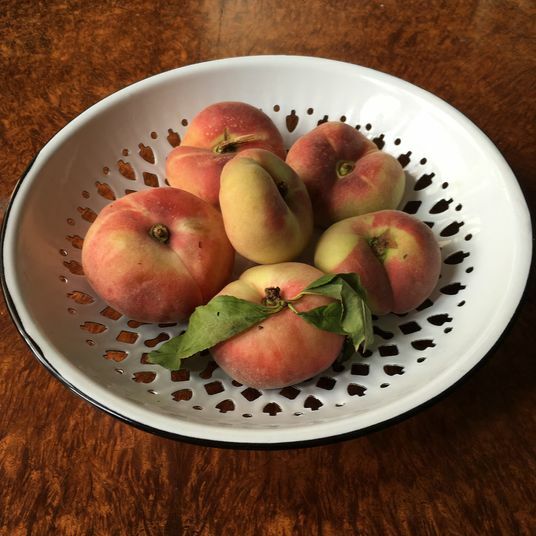 In Phantom Thread, you can spot eggcups on the table of Daniel Day-Lewis’s character, a fashion designer with a now-legendary breakfast habit, including a couple of unique-looking metal ones. 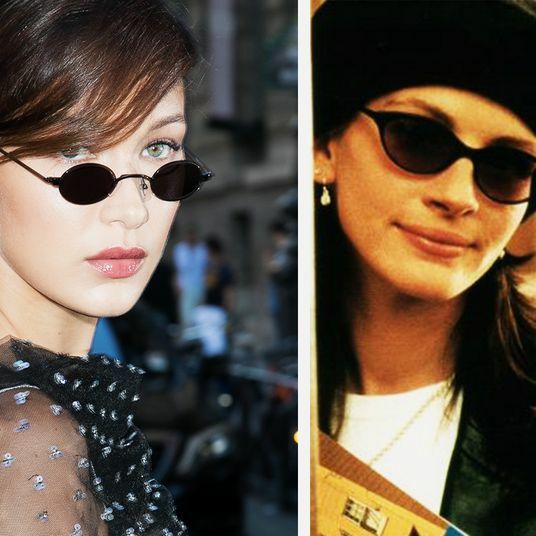 In both these scenes, the eggcups signify a certain amount of elegance, though that sentiment also sums up the appeal of the eggcup in real life. 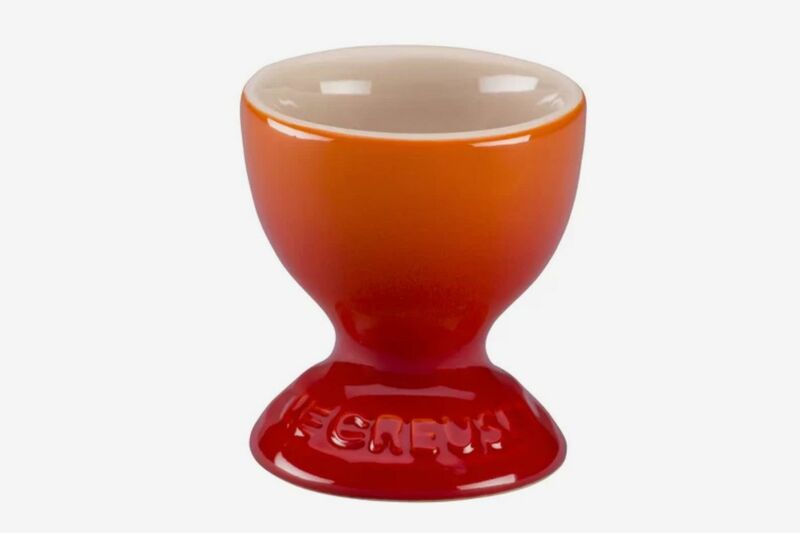 An eggcup takes something as mundane as a soft-boiled egg and elevates it to the centerpiece of a meal. They’re, almost by definition, a luxury, since you don’t need one to eat an egg. 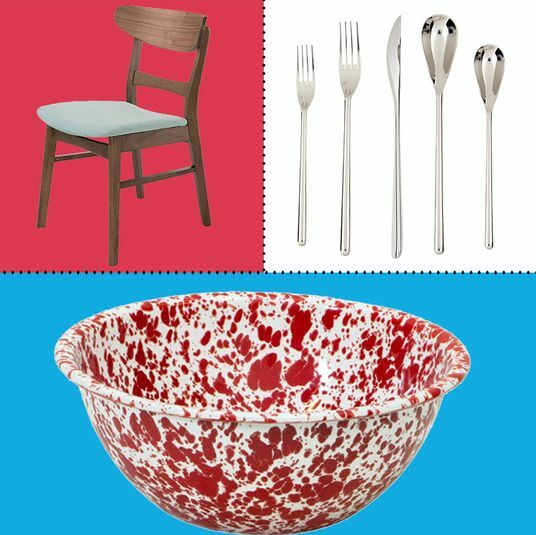 Plus, they’re often so uniquely shaped that they can rarely be repurposed for another use. 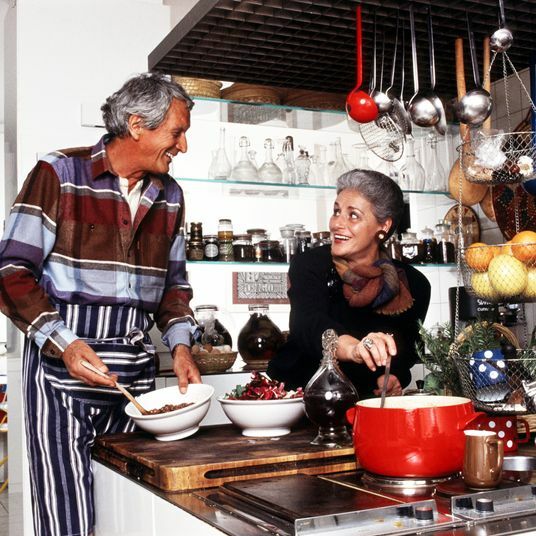 But to own and use an eggcup is to be the kind of person who could, hypothetically, leisurely enjoy a soft-boiled egg for breakfast under the Italian sun, or host elaborate brunches at the drop of a hat. 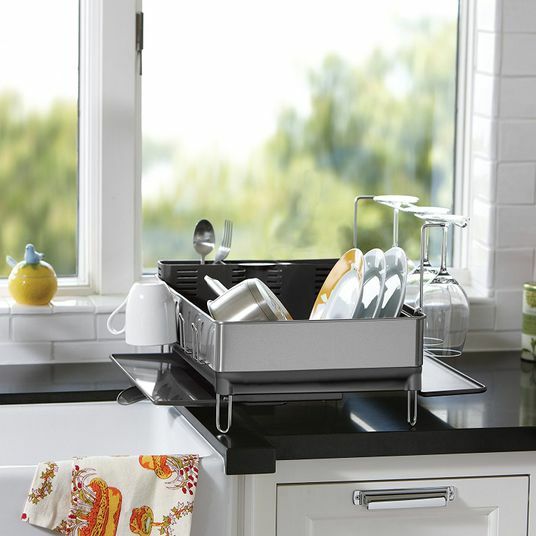 That’s what makes it aspirational, but it’s still entirely, blissfully achievable. 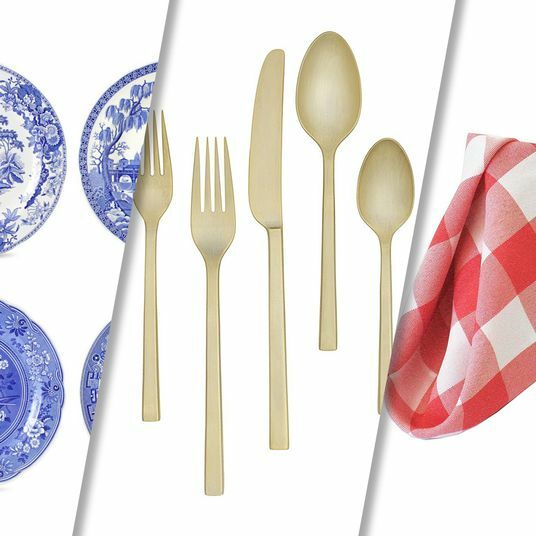 After all, boiled eggs are easy to make, and handsome eggcups are surprisingly affordable — and once you start eating your eggs out of a cup, I promise you’ll never want to go back to the way things were before. 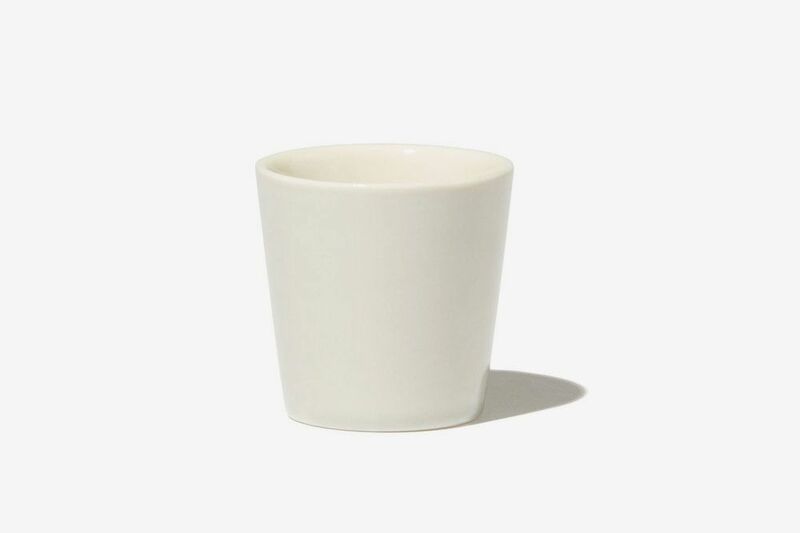 This simple, white, ceramic eggcup is most similar to the one I was served at Joseph Leonard — and for only $2 each, it’s the most affordable one on this list. 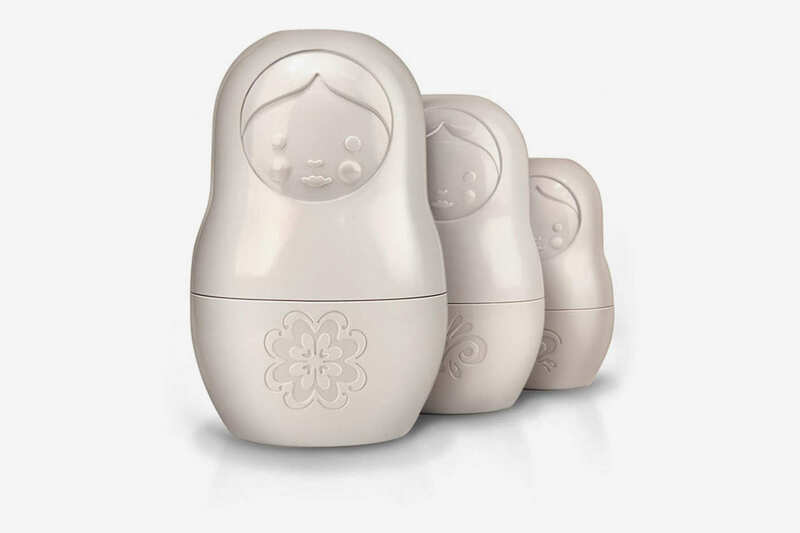 These eggcups from Anne Black have an even more minimalist design, without a decorative foot, though they also come in light pink and sage green. 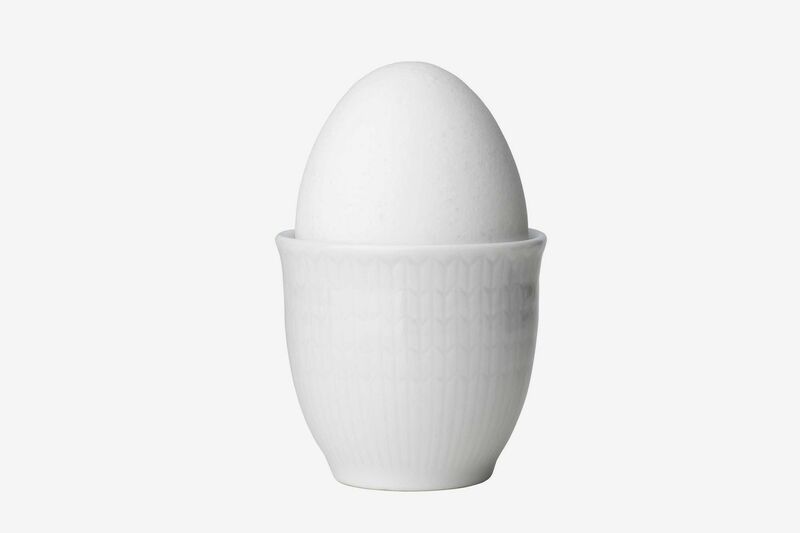 This minimalist porcelain eggcup has a delicate etched pattern. 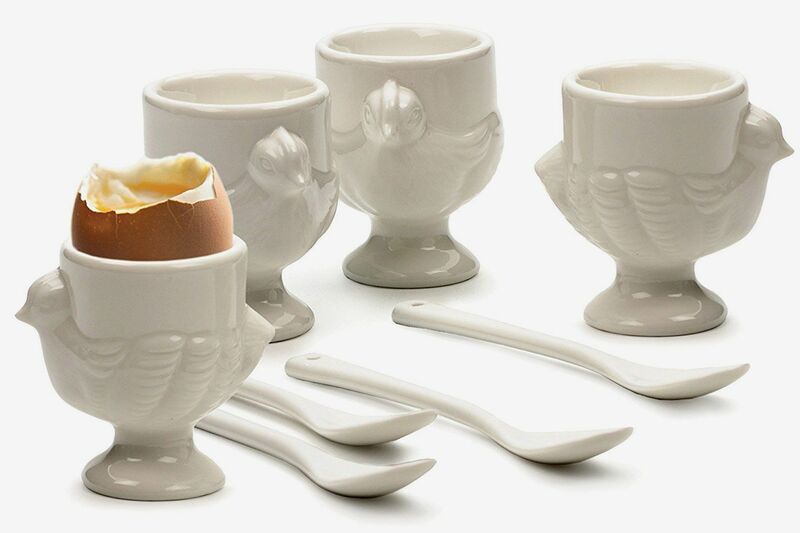 Hen-shaped eggcups have become something of a kitschy classic of the genre. 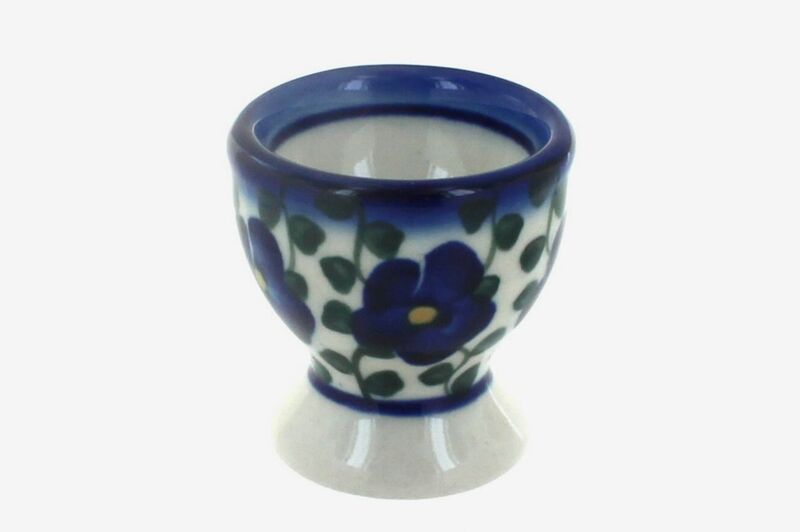 The painted blue pansies on this eggcup give it a vintage feel (and would also look gorgeous against a brown shell). 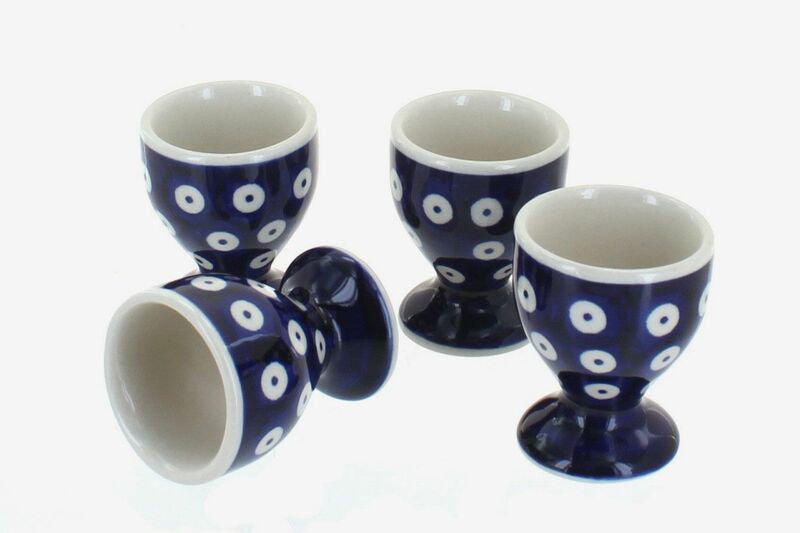 For a more abstract paint job, try these dotted eggcups. 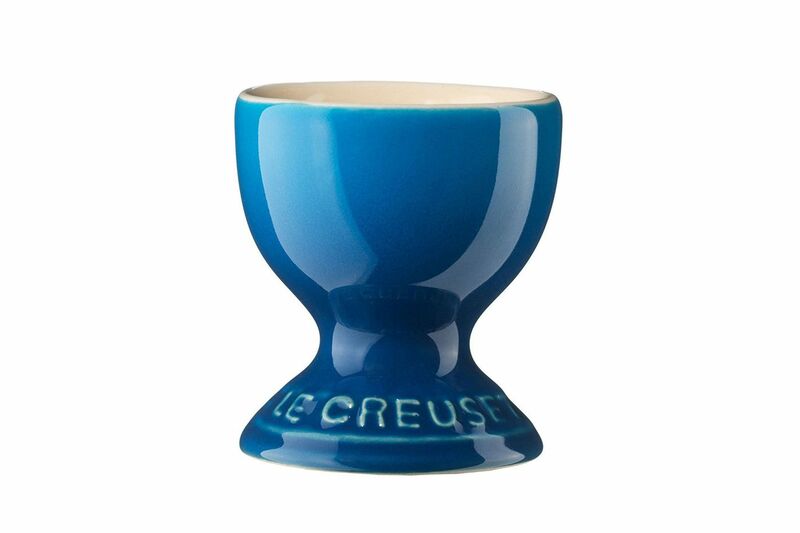 These stoneware Le Creuset eggcups come in a variety of colors, including blue, green, and red, so don’t feel obligated to get a full set in the same color. 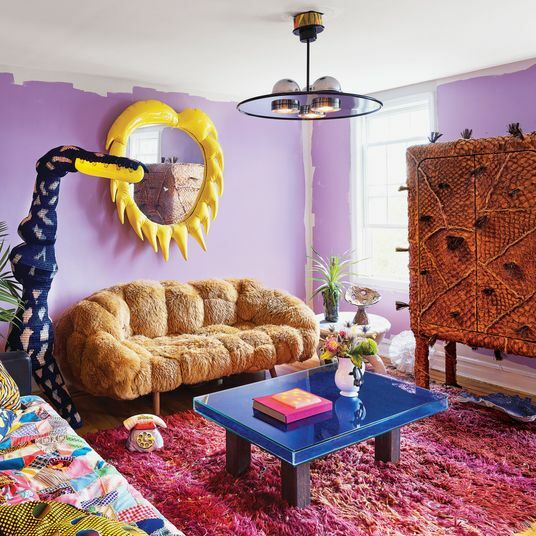 This is a time when mismatched sets work, especially if they’re all the same style. 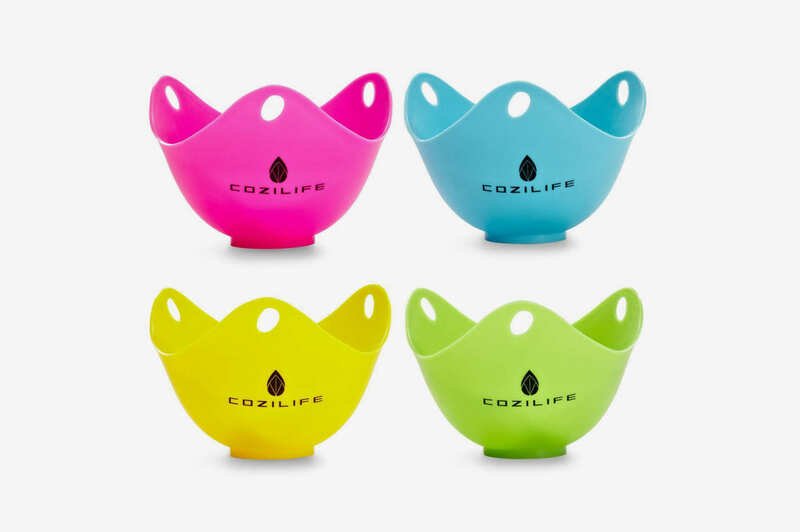 This set of terra-cotta eggcups with different colored borders is a picture-perfect example of mismatching colors in action. 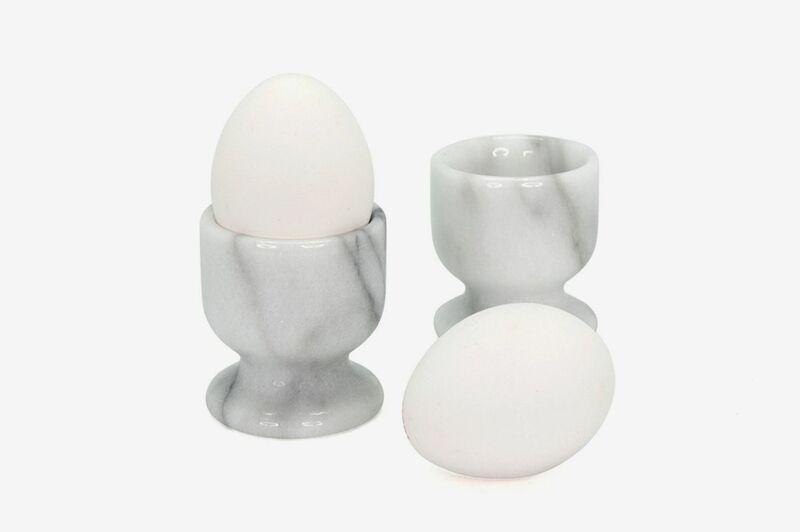 These marble eggcups will contrast nicely against a plain white shell. 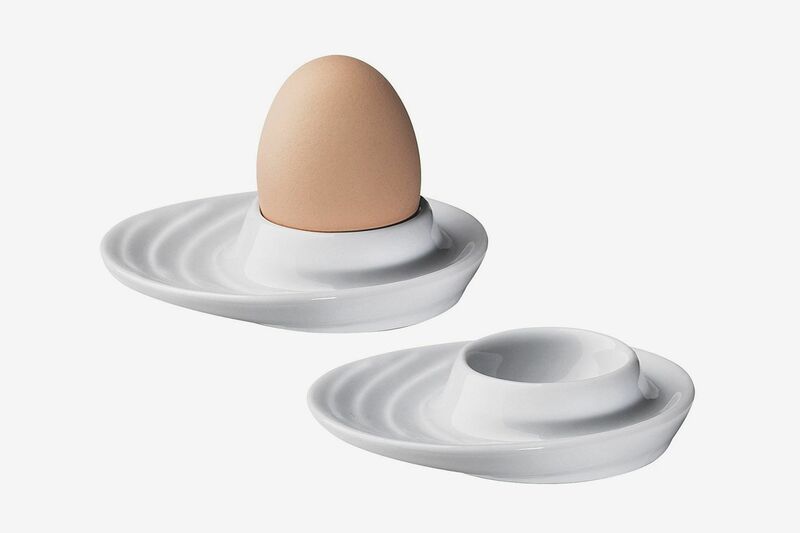 This modern-looking eggcup from Italian design company Alessi comes with its own spoon and mallet for chic shell-cracking. 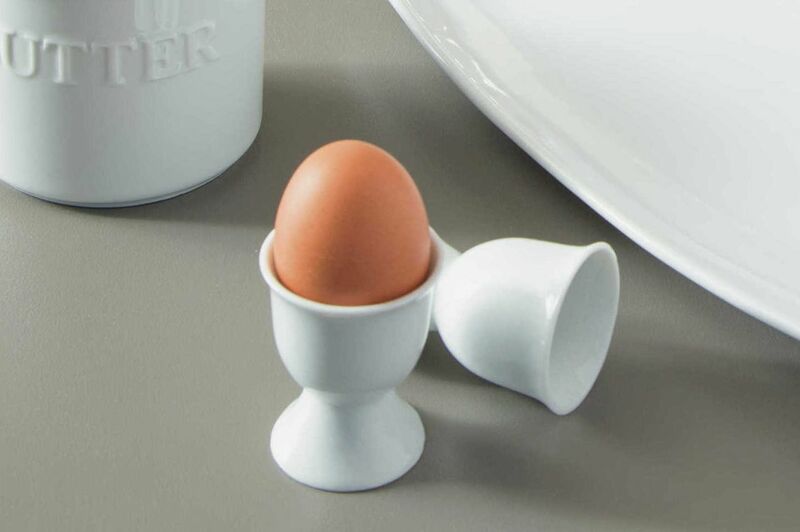 If you like the modern look but want something with a lower profile, try these platelike eggcups. 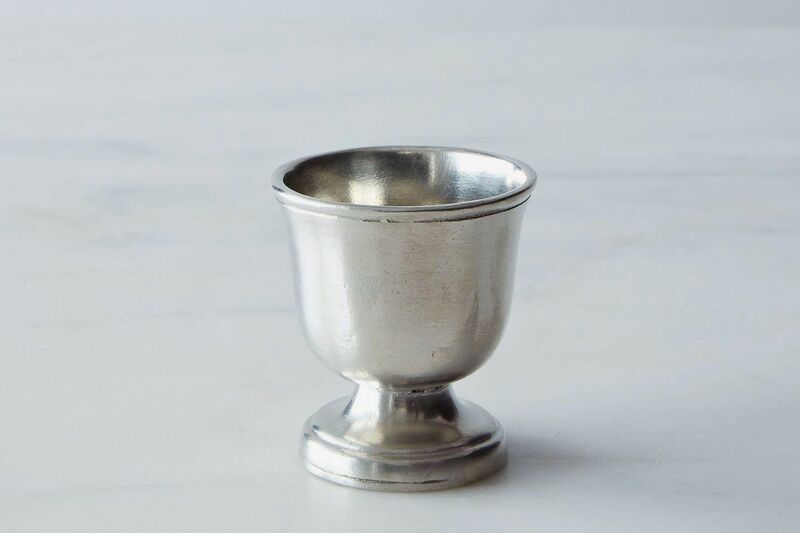 If you’re serious about channeling the Phantom Thread, here’s a solid pewter eggcup. 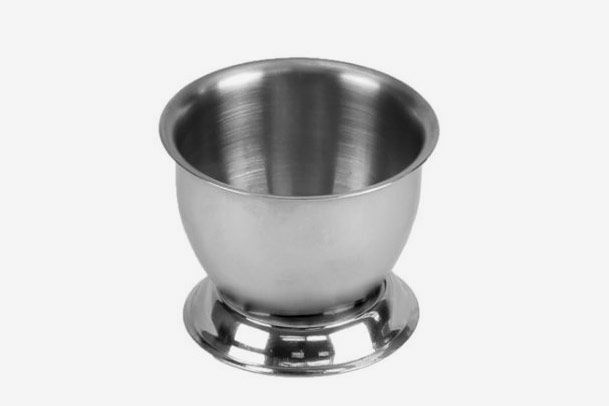 For a more affordable metal eggcup, try this stainless-steel one from Walmart, then bring the hungry boy. 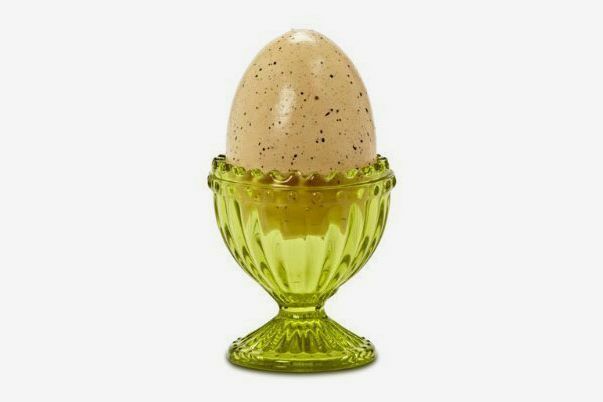 Another vintage-feeling material for eggcups is glass, like this duo that mimics the style of Depression-era green glass.